Upvc Windows & Doors Products & Ideas | Find Upvc Windows & Doors In Online Shop | French Windows, Slide & Fold Window, Tilt & Turn Window. When deciding the décor of your home, windows occupy an important place. It acts as an aesthetic feature for your home or office and also acts as a weather barrier protecting you from the elements of nature. 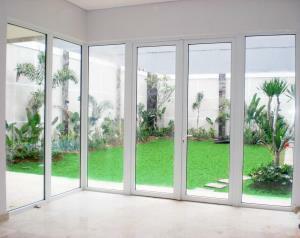 Choosing the right window for your home can help to reduce the energy consumption thus adding value to your property. Windows come in a number of different forms, shapes, and sizes but narrowing down on the right framing material is as important a decision as choosing the right glass and one you shouldn’t take lightly. There are many materials available in the market for you to choose from such as wood, uPVC or aluminum. We will help you make the most appropriate choice by weighing in the different features of each material and by analyzing the pros and cons.